The latest campaign finance reports show Conservation Colorado is continuing its effort to defeat the recall of La Plata County Commissioner Gwen Lachelt. Conservation Colorado this month donated $20,110 to United Against the Recall, a group it formed to fight the recall of La Plata County Commissioner Gwen Lachelt. Campaign finance records from the Colorado Secretary of State show the March 13 donation and another it made Feb. 14 for $10,000 are the only monetary contributions received by United Against the Recall. The latest campaign finance report for United Against the Recall shows the group began the reporting period, which ran from Feb. 17 to March 23, with $6,477.63 in cash on hand, received monetary contributions of $20,110 and spent $23,351.21. The group ended the period with $3,236.42 in cash on hand. The largest expenditure in the report was $10,000 paid to Grassroots Campaign Inc. of Boston for consultant and professional services. The next largest expenditure was for $7,250 also to Grassroots Campaign. The third largest expenditure was for $2,000 to Progress Now of Denver for consulting and professional services. The report did not provide specific details about how Grassroots Campaign and Progress Now used the money. Lisa Pool, southwest field organizer for Conservation Colorado, was reached only briefly by telephone Thursday, but she did not return a telephone call for a more extensive discussion by press time. 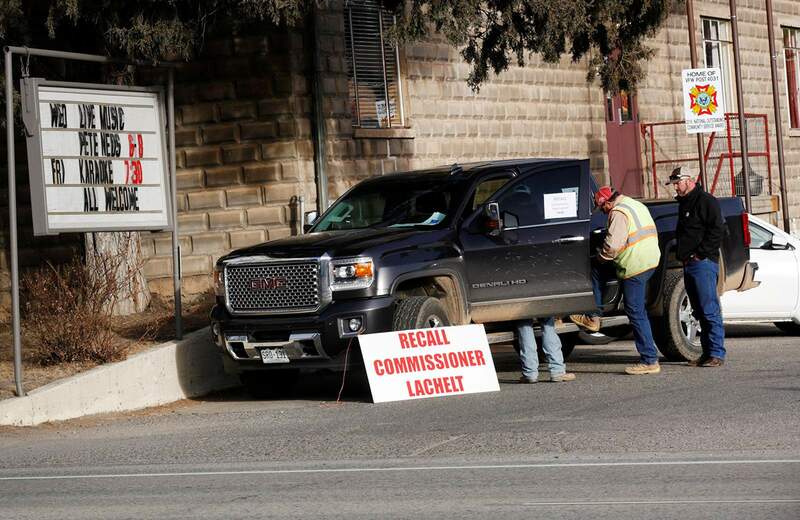 However, last month, recall supporters said the campaign funds from Conservation Colorado show outside money is assisting Lachelt’s anti-recall efforts, an accusation Lachelt has denied. Dave Peters, one of the three La Plata County residents leading the recall effort, noted that Conservation Colorado Victory Fund, its political arm, has received large donations from NextGen Climate Action, an arm of NextGen America, a nonprofit organization that supports progressive positions on climate change, immigration, health care and education and is funded by Tom Steyer, a California billionaire. Peters did not return telephone calls for comment Thursday. In 2016, well before the recall effort against Lachelt was launched, NextGen Climate Action made two donations to the Conservation Colorado Victory Fund, which donates to political candidates. NextGen donated $200,000 to the Victory Fund on Aug. 30, 2016, and it donated $80,000 to the Victory Fund on Oct. 25, 2016. In February, Jace Woodrum, Conservation Colorado communications director, confirmed Steyer has made donations to Conservation Colorado in the past, but he said Steyer has not contributed to United Against the Recall. Lachelt is also raising money to fight the recall effort. La Plata County for Gwen Lachelt, her issue committee raising funds, reported $2,112.52 in cash on hand at the end of the reporting period covering Feb. 11 to March 12. It had received donations of $11,444 and had expenditures of $11,736 for the period. It had started the period with $2,405 in cash on hand. Lachelt’s issue committee’s largest expenditure was $10,452.30 to Creative Geckos of Farmington for advertising. Recall supporters also have formed a fundraising committee, La Plata County Recall. It is registered as a small-scale issue committee. These types of committees do not have to report donations until they receive $5,000. As of Thursday, no financial disclosure report from it was listed on the secretary of state’s campaign finance tracking website.